I bookmarked this picture a while ago and I think today might be a good day to share it. 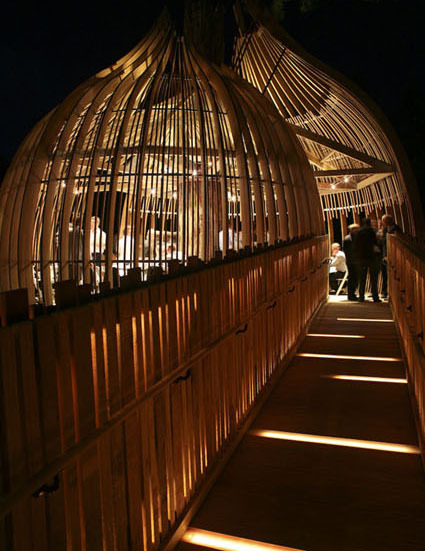 The tree-house concept is reminiscent of childhood dreams and playtime, fairy stories of enchantment and imagination . 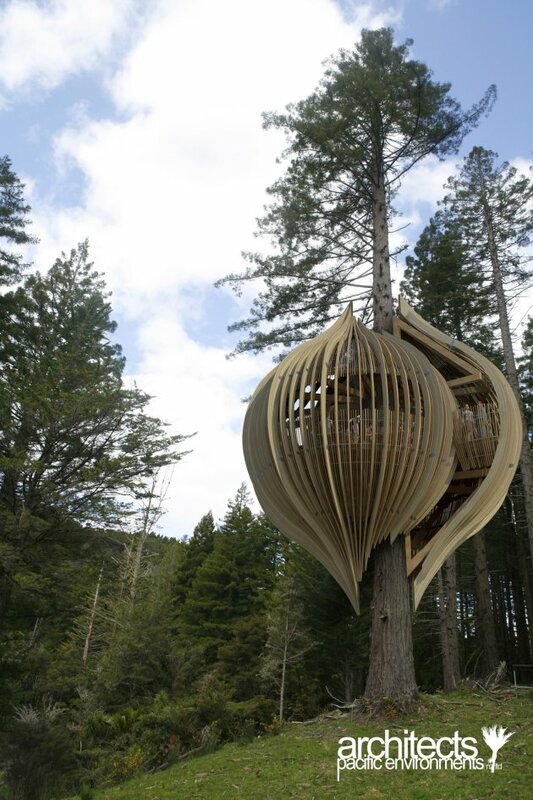 The Architectural component embodies a simple oval form wrapped ‘organically’ around the redwood tree trunk and structurally tied at top and bottom. 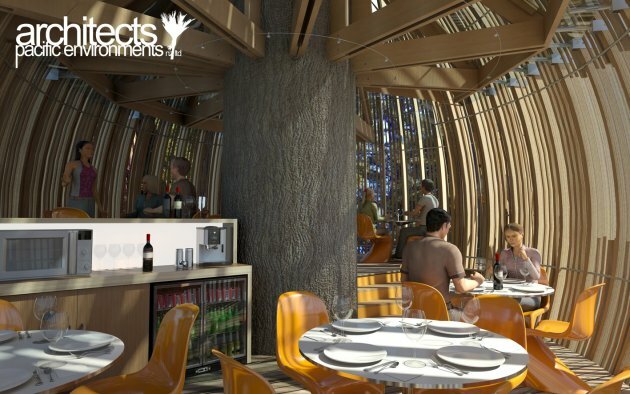 The tree-house restaurant was designed by Pacific Environments Architects, a New Zealand firm focused on holistic environmentally sustainable design. The ramp leading from the meadow up into the tree allows access for people in wheelchairs or who would otherwise not be able to climb a ladder. Even though this is a Yellowpages promotion, it’s a noteworthy project.